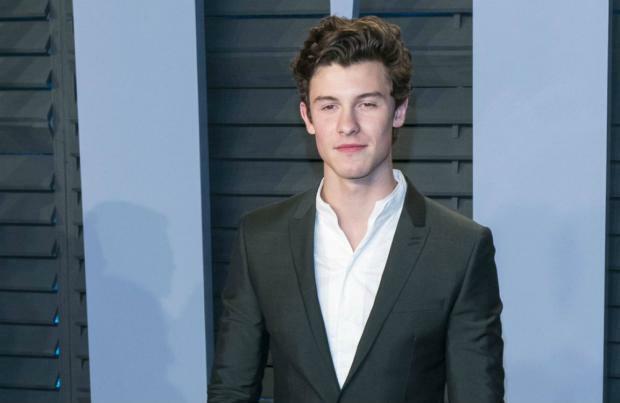 Shawn Mendes doesn't want smartphones banned at gigs. Other artists are regularly asking concert goers to put down their mobile phones during their live shows or even have them discourage completely, but the 'In My Blood' hitmaker says it is his "favourite thing" about performing live. He said: "My favourite thing about performing live is you know especially nowadays everyone's extremely connected to their phones and stuff like that. There is a moment in every single set that is just a moment that you find yourself completely being present with the crowd." And Shawn is looking forward to coming back to London's famous O2 Arena on his new tour next year. He added: "I'm sure it will be one of the best shows on the tour. Performing at the O2 was a complete dream of mine. I was lucky enough to be able to do two nights there. A lot of people who I really love came and saw the show - Niall Horan, who's a good friend of mine, came and watched me, and that was a very special moment. London has some of the most incredible fans in the world. They're super loud and super supporting, so it was a really awesome gig." Meanwhile, the 19-year-old singer previously admitted he hadn't been to many concerts before starting a career in music. He shared: "It's funny I didn't get to see a lot of shows growing up when I was as a kid, and then all of a sudden when I started doing music I started watching a lot more shows. One in particular, I've watched every single Ed Sheeran live video that is on YouTube, but I've never seen him perform live at an actual gig. I'm hoping I see him one day."